Garner Heat Treat, Inc. has provided heat treatment and metal finishing services to Oakland, San Francisco and the Bay Area since 1959. Come to us for forging, metal drawing, metal extruding, horseshoeing, metal casting, metal finishing, and metal cutting. With almost 60 years of experience, it’s easy to see why we’ve become the company for all your heat treatment needs. 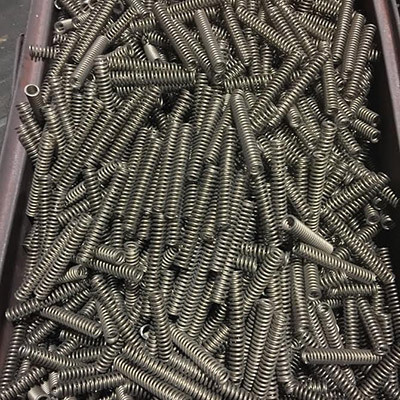 From defense applications to food service materials production, semiconductor applications to medical tool finishing, Garner Heat Treat, Inc. provides best-in-class heat treating in the Bay Area. We’re your experienced partner for any and all hardening and finishing services, with the experience and equipment to produce nothing short of exceptional results for your project. Our strong portfolio of completed works includes numerous industries, spanning components of all types, for applications big and small. It’s because of this that customers have been trusting us for metal heat treating in the Bay Area for nearly six decades. And, it’s why we continue to retain customers over the long term, meeting their evolving needs each and every time. Our abilities span the gamut for metal hardening in the Bay Area. Not only are we capable of services like annealing, aging, stress relieving, hardening, tempering and sintering, among others, we can also provide cryogenics and other specialty services. We’re not just limited to steel either! Come to us with your copper, cast iron, aluminum and just about any other metal. More than just a heat treating service in the Bay Area, we also take it a step further to offer finishing services as well. Let us join your metals via welding or brazing, or degrease, wash or straighten them. We want the results to be perfect, and we’ll go to whatever length is required to ensure they turn out that way. We’re affiliated with the Metal Treating Institute (MTI). Our facility is ISO compliant, maintaining the highest standards in quality and excellence. We’re Northrop Grumman Certified, making us a compliant contractor and trusted partner. We’re aligned with reputable names such as Pacific Steel, Berkley Forge and Colter Forge, ensuring excellence in all that we do. Our team of professionals has decades of experience, stretching back to 1959! If you’ve got a project that requires heat treating services, let us provide you with a free estimate. No matter the scope of work or the type of industry, we’re ready to take on your project.